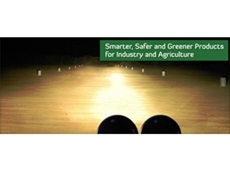 Central Wheatbelt Imports offers High Intensity Discharge (HID) lighting designed specifically for agricultural machinery and vehicle use. Aussie Solar installs renewable energy technology in Sydney and surrounding regions. Their product range includes solar panels, inverters, LED lights and hot water systems. Felco Manufacturing of Toowoomba Qld design and produce high quality Fibreglass Composite Tanks for Road Transport of Water/Molasses/Diesel/Chemicals. RuralOutlets provides a range of agricultural products and accessories including clothing, workwear, safety footwear, shearing equipment and handpieces, wool products, emu oil products and more. BWL Industries manufactures custom made canvas and pvc bags and covers. Custom made protective waterproof and dust proof covers for camping, mining, agricultural and industrial applications. 04/08/08 - Western Diesel NT offer trucks, tractors and trailers throughout the region of Queensland. The trailers from Western Diesel NT include the Tristar and Freighter series of trailers. 15/07/08 - Crystalwater Enviro Technologies specialises in providing effective ScaleBlaster for scale removal and descaling applications. These electronic descalers and water conditioners are suitable for residential, commercial and industrial applications. 11/07/08 - Crystalwater Enviro Technologies specialised in water treatment and purification systems (CRYSTALWATER purification system) suitable for pools and spas. 09/07/08 - GO Distribution specialises in supplying a range of visible light products such as work lighting, work lighting LED and cord reels.